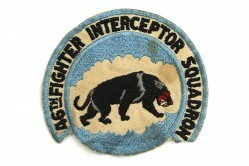 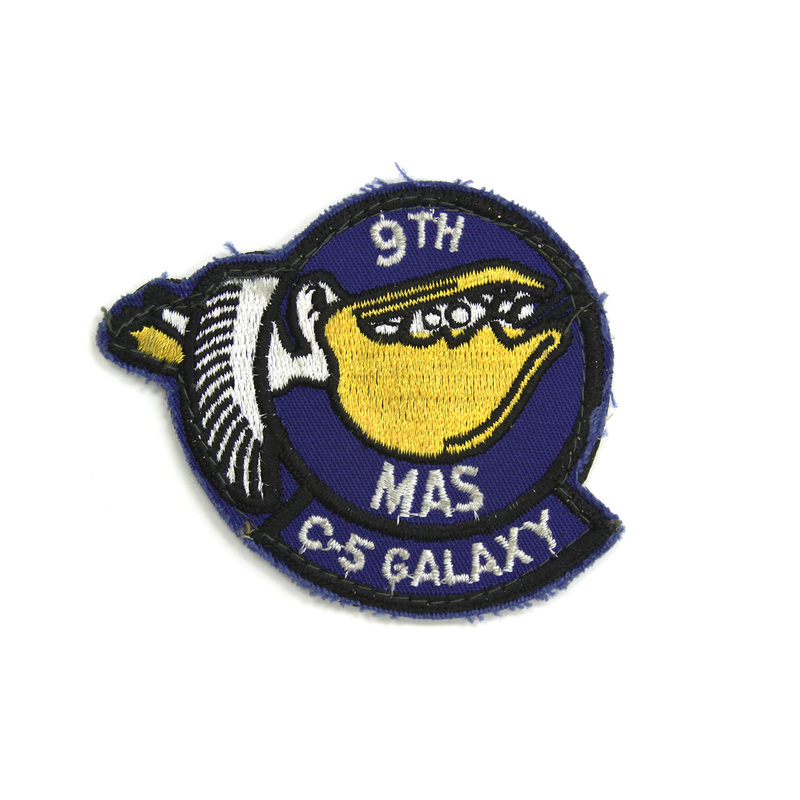 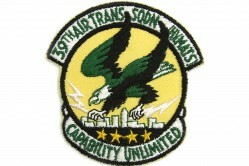 The patch depicts a flying pelican carrying troops facing right. 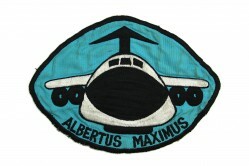 The 9th Military Airlift Squadron (MAS) was a unit assigned to the 436th Military Airlift Wing (MAW) at Dover AFB, Delaware, from January 1966 to September 1968. 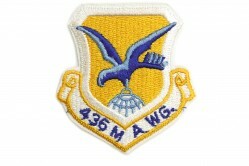 The squadron flew C-141 Starlifter aircraft. 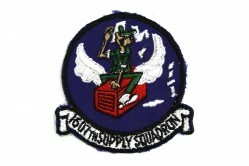 In 1971 the squadron was redesignated the 9th Airlift Squadron (AS) and today flies the C-5 Galaxy aircraft. 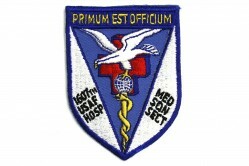 The squadron uses the same emblem as its predecessor, but the pelican faces left.